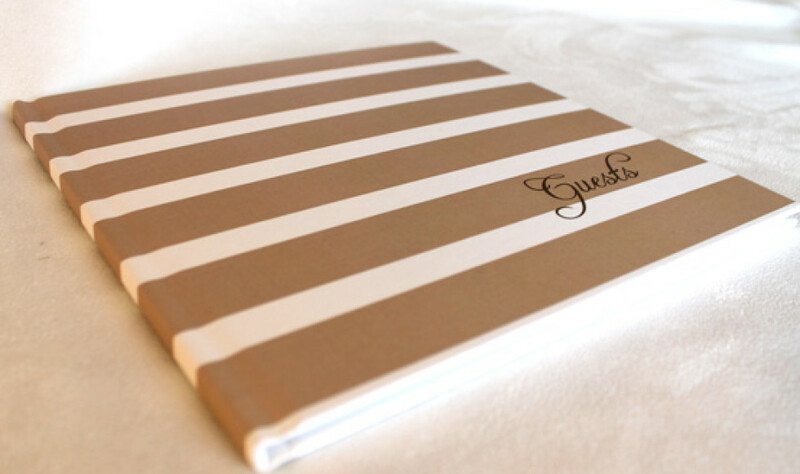 Add this beautiful, sandy tan and white stripe guestbook to any special day. 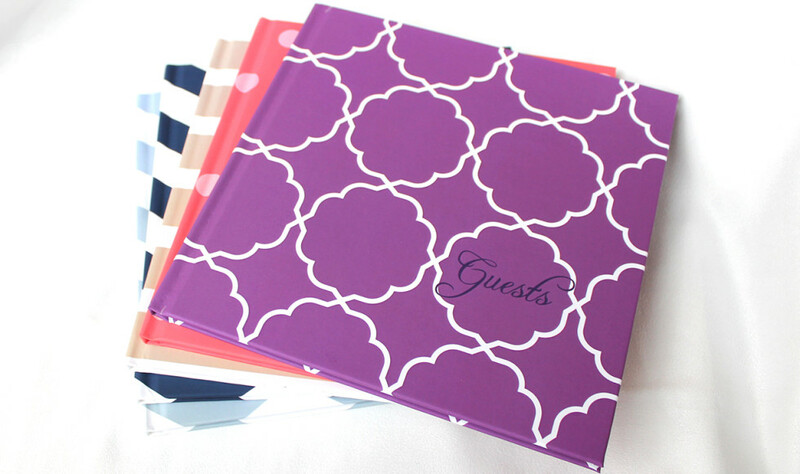 Wedding Guest Book and Anniversary Journal. We’ve designed our gray chevron cover for the modern bride! This modern wedding guest book features white pages printed with tan accents. The pages include 345 dotted signature lines for the friends and family that share your special day. Then, use the Anniversary Journal pages to record special moments for years to come. Journal pages are titled for anniversaries 1, 2, 3, 4, 5, 10, 15, 20, 25, 30, 35, 45 and 50. Hard cover. 42 pages. 8.5 by 8.5 inches (216 mm x 216 mm).